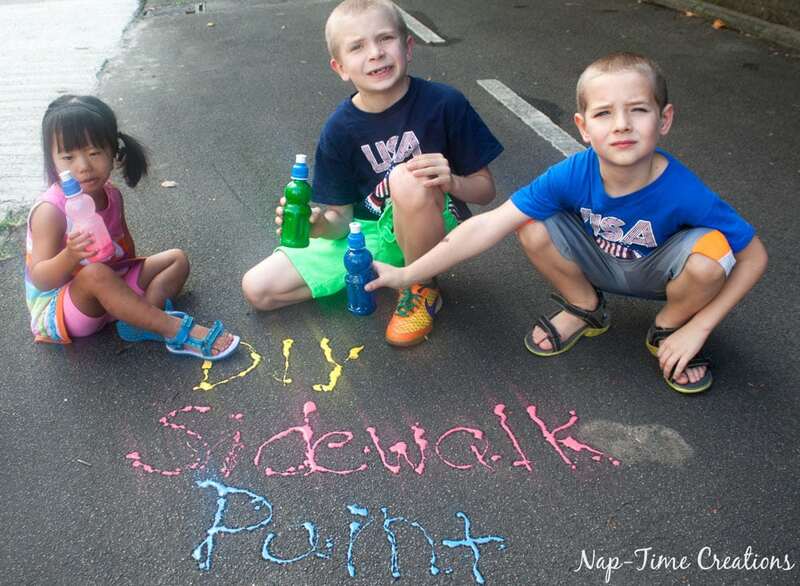 We got to share our Fruit Shoot® drinks with the cousins and draw with chalk… then I decided to try making sidewalk paint and put it in the empty bottles. 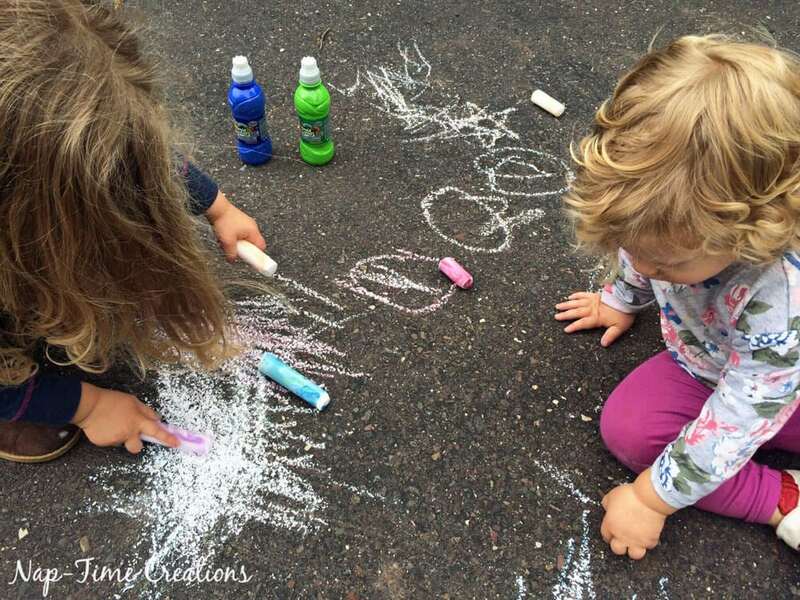 After fun with chalk, came fun with sidewalk paint. 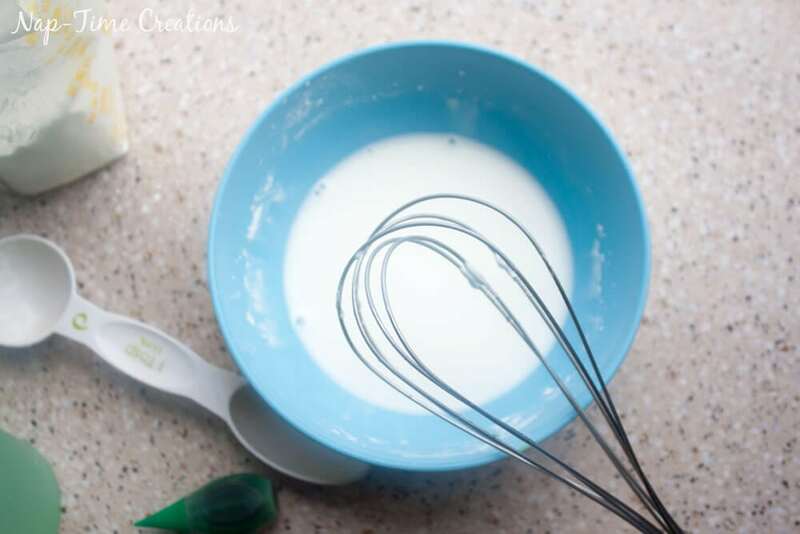 The recipe is SO easy you won’t believe it… Get a paper and pencil ready… you need… 1. 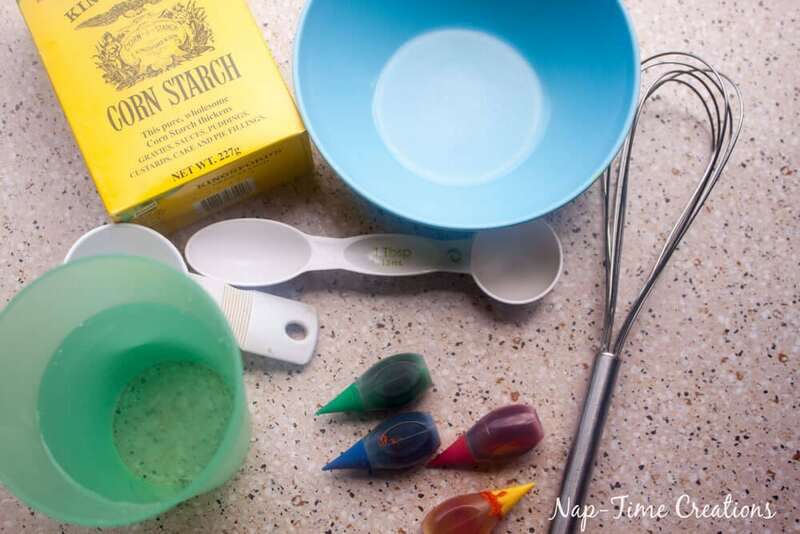 Corn Starch 2. Water 3. 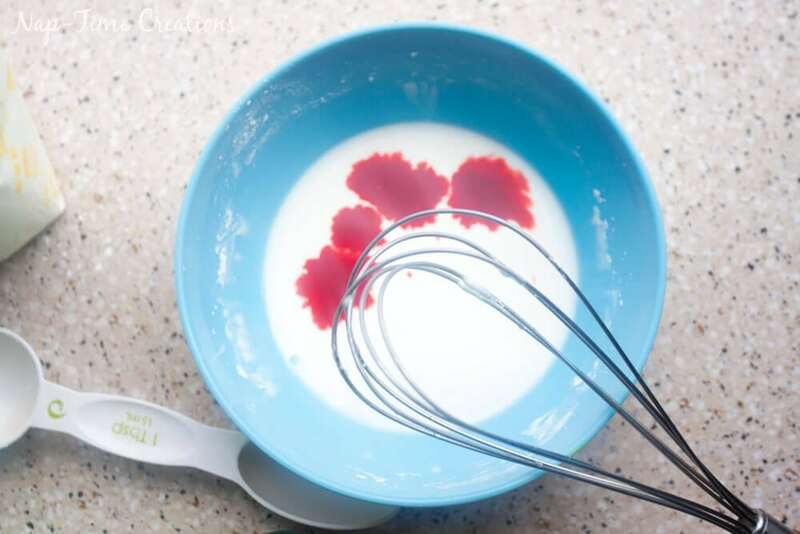 Food coloring.. and that’s it! 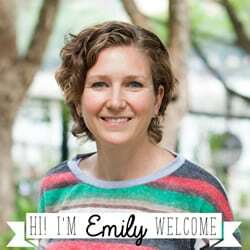 Super easy right? 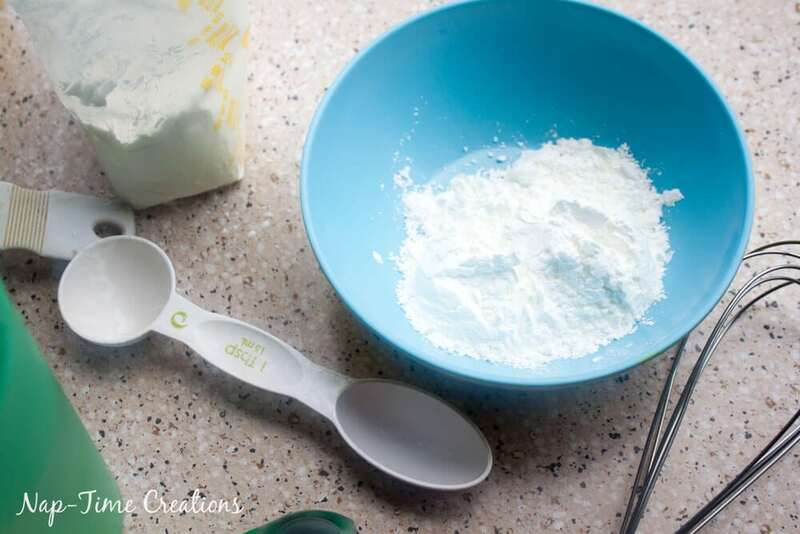 Put 1/4 c. + 2TBS corn starch in a bowl..
add food coloring until you get the color you want..
Pour into the bottles! 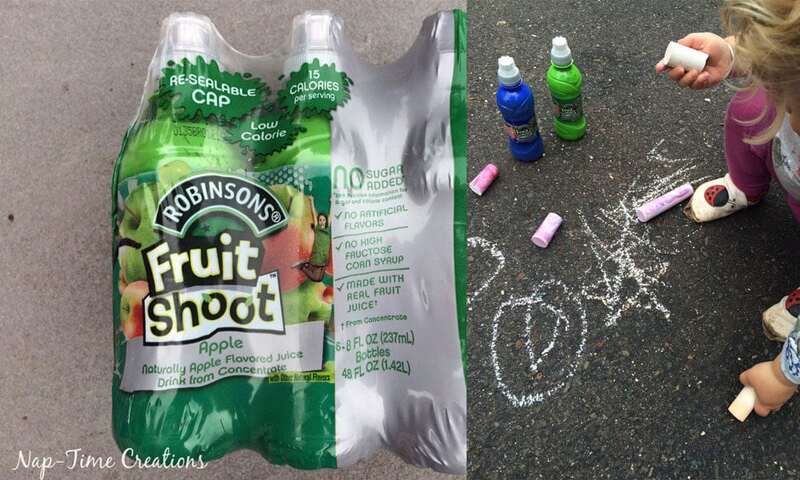 Fruit Shoot® Juice drink bottles have re-sealable caps which is great when kids don’t drink it all in one sitting AND because I can pour in my paint and seal it up again. 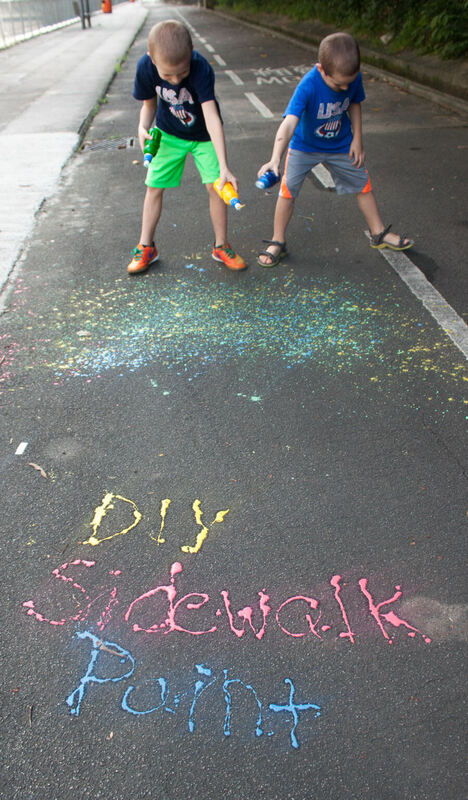 Take your DIY sidewalk paint outside and let the kids have fun! 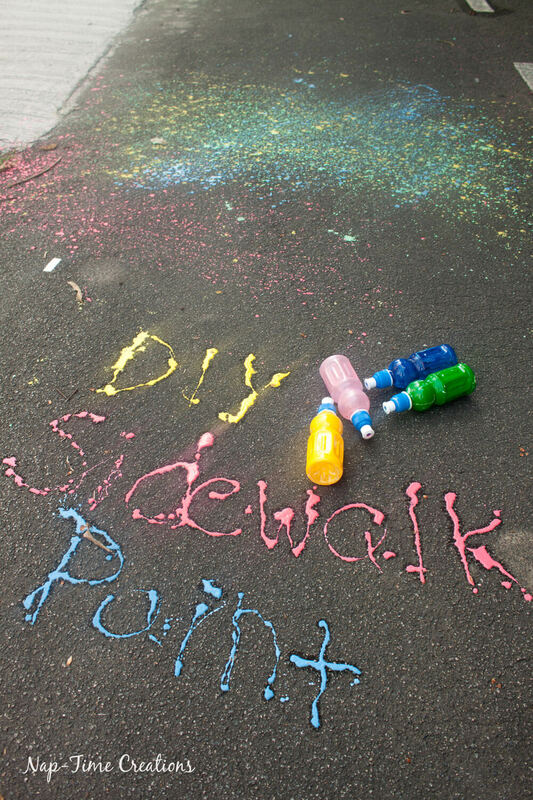 It will wash off with the next rain, or you can hose off the sidewalk when finished painting. Find out more about Fruit Shoot® drinks and where to buy it here. My kids love fruit shoot!! What a super fun way to reuse the bottles, we’ll have to save them next time! What fun the kids are having. I can’t believe how easy the recipe is. Pinning for my grand kids. 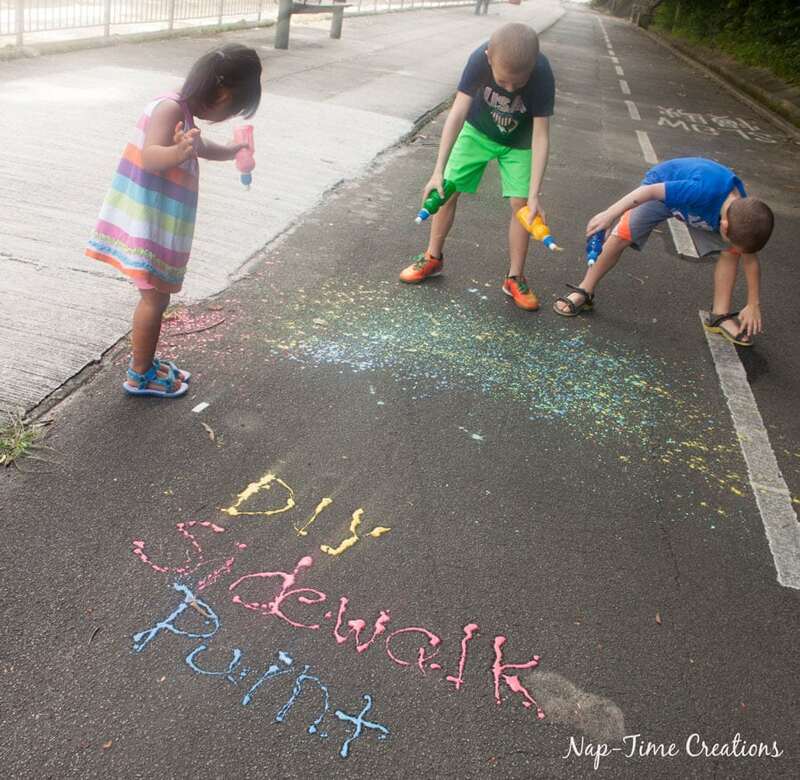 What a fun idea for summer!